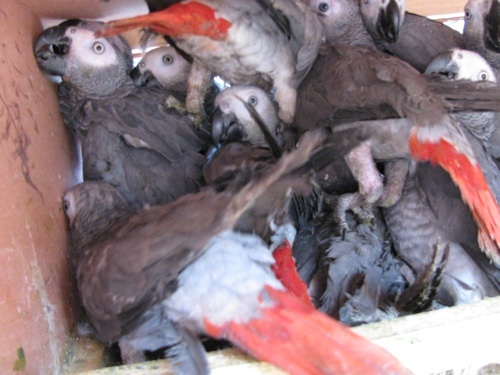 Yesterday more than 1,000 African grey parrots were confiscated at Douala Airport and brought to the Limbe Wildlife Centre in Cameroon. Again! We have not even released all the birds from the last seized parrot shipment, but the illegal trade continues. This is the largest group of parrots ever confiscated in Cameroon. Unfortunately, also the amount of dead birds was incredibly high. 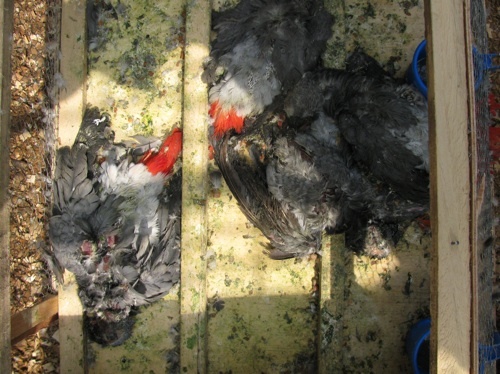 Upon arrival we found 47 dead parrots on the bottoms of the crates. Another 30 parrots did not survive the first day, as a result of thirst and stress. It makes you sick to see how the parrots are packed in the boxes, the weaker ones trampled by the strongest. [These birds are now in quarantine while we assess their condition.] It seems like a fair amount of them have their feather intact, but that is really the only thing positive I can think of. 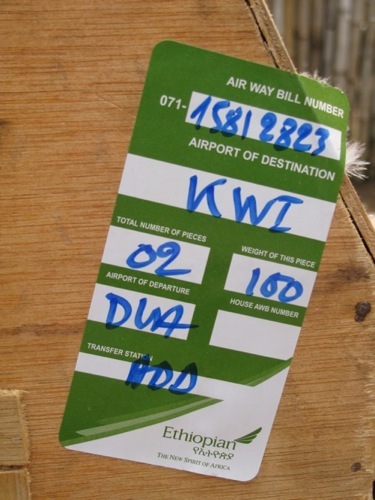 It is remarkable that there are airlines who take these shipments on board. I will make sure I will never share a plane with illegally traded animals! Dear readers, you have been very generous last time we received parrots. We need you now more then ever. Thanks so much!